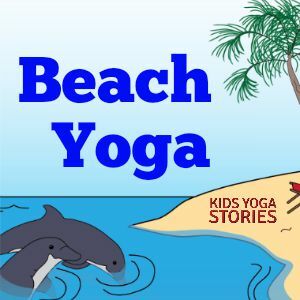 Try a trip to the beach through beach yoga poses for kids! 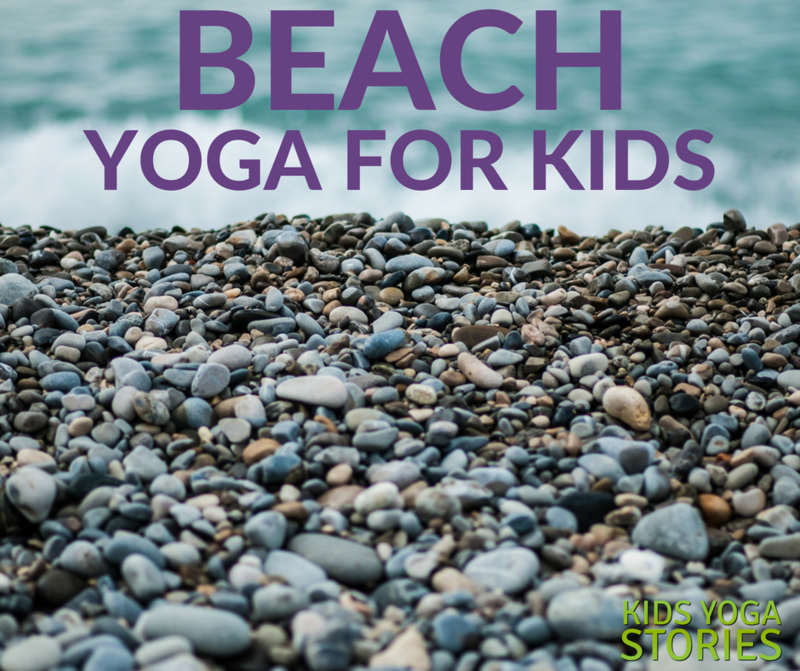 Moving and playing together is great in any weather, but summer is especially enjoyable for beach yoga poses for kids. The sequence below will lead your family on a beach-inspired journey in your living room, backyard, or local park. 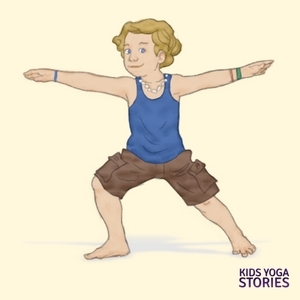 Kids yoga is all about having fun, being imaginative, and engaging through movement. Get out beach props like a beach umbrella, a beach chair, sunhats, or a bucket and spade. Look for beach-related books, toys, or photos. Put on your favorite beach music or the sound of ocean waves or animals. Make fun fruity drinks with umbrella straws. Cater to each of your senses. Use your imagination! 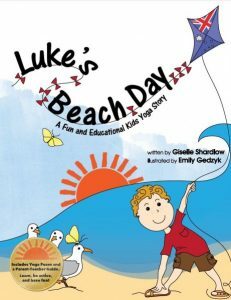 Once your “beach” is set up, jump in and act out what you find along the shoreline with your children. Discuss the “journey” with your children as you move together. What do they imagine seeing, hearing, feeling, and smelling. The eight poses are listed in a specific sequence to invite flow from one pose to the next. 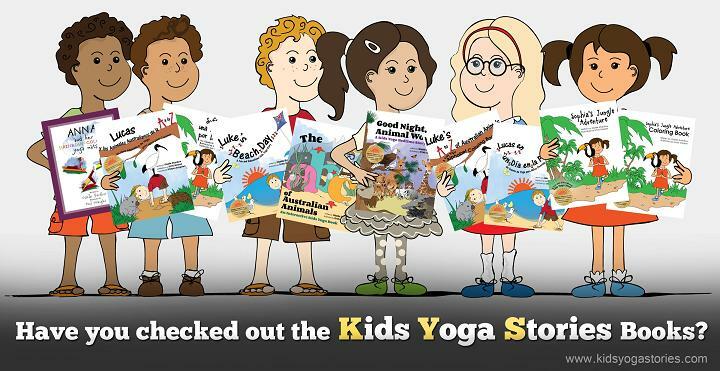 Feel free to add or take out any of the poses to suit the needs and interests of your child. Being creative is always encouraged. Wear your comfortable beach clothing and practice barefoot. It doesn’t matter if you haven’t tried yoga before, just give it a go. The focus is on having fun, but please be safe. Surf on your surfboard, with arms straight out, and whoosh like the wind. Did you catch a wave? 2. 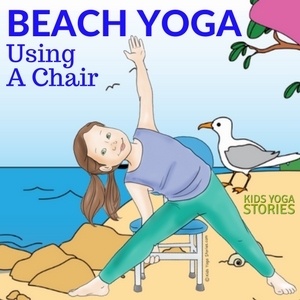 Chair Pose – Pretend to sit in a beach chair. Sit back as if you are sitting in your beach chair. What smells do you notice at the beach? 3. Downward-Facing Dog Pose – Pretend to be a sandcastle. Pretend you are the roof of the castle, and then come forward into a plank as if you are the bridge of the sandcastle. What does the sand feel like on your hands and in between your toes? 4. 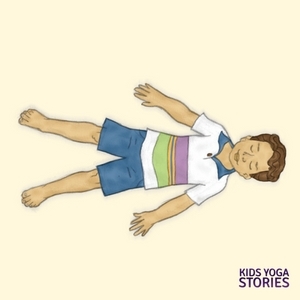 Locust Pose – Pretend to be a swimmer. Lie on your belly, with the legs extended back behind you, lift your chest, and swim with your arms. What animals do you see in the water? 5. Resting Pose – Pretend to be a sea star. Lay on your back with arms and legs stretched out, breathe, and rest. What sounds do you hear? Pretend to be a lifeguard, sea urchin and a beach tent. 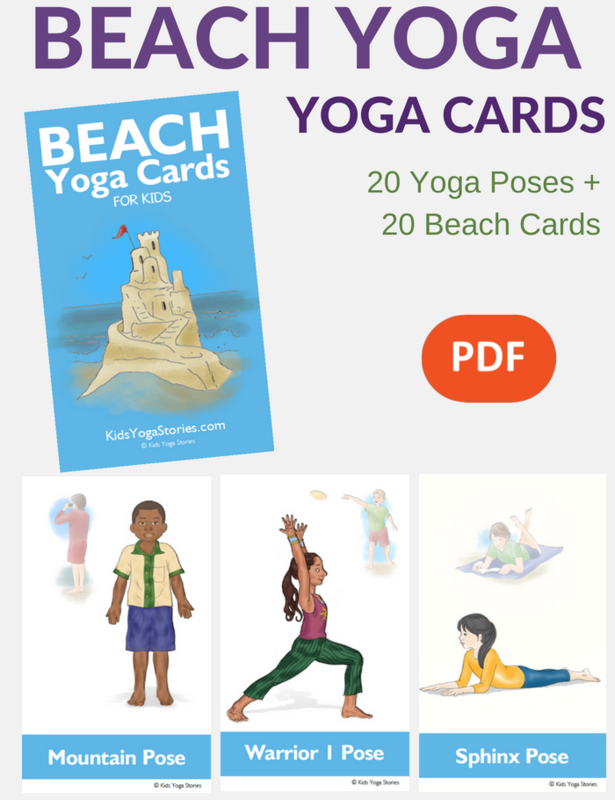 Download these 52 beach digital yoga cards to learn through movement in your home, classroom, or studio. 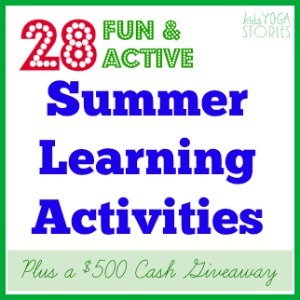 Includes an Index Card, Pose Instructions, 20 Yoga Pose cards, and 20 matching Beach cards. 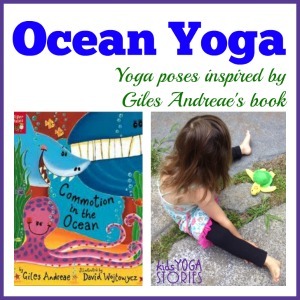 Purchase your Beach Yoga Cards for Kids. My daughter practicing Extended Mountain Pose and Warrior 2 Pose.